Why do some classes and students display high levels of motivation in science but others do not? Motivation is a requisite to learn. We need to know how to plan science lessons for maximum motivation if great learning is to take place. I have summarised some interesting ideas from a paper by David Palmer on student motivation in science. Use these ideas to help diagnose what is and isn’t working in your lessons. And remember, variety is the spice of life! Presentation that summarises how to support student motivation in science lessons. 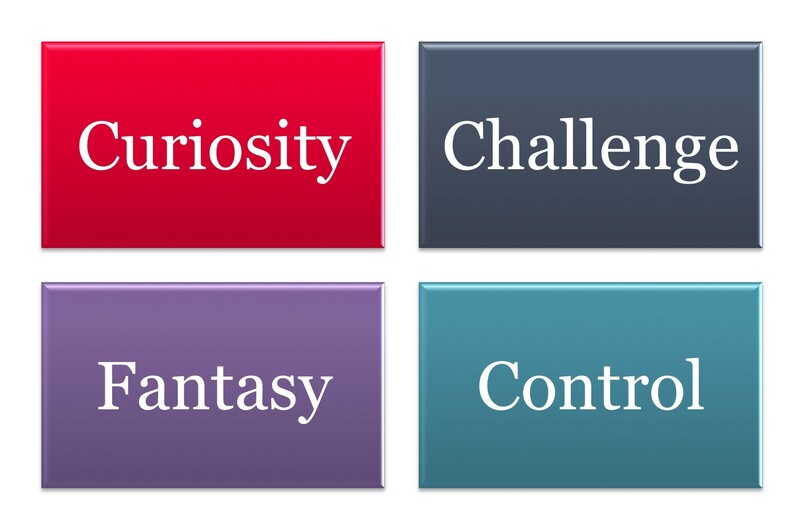 This includes specific examples of how to motivate students using challenge, fantasy, curiosity and control. Extrinsic motivation refers to doing something because it has a separable outcome, such as awarding stickers for good results. This type of motivation is often used in classrooms, but its effectiveness has been questioned. Expected, tangible rewards (as distinct from unexpected rewards or verbal praise) have been shown to have a strong negative influence on other types of motivation. When you use extrinsic motivation help students to appreciate the value or utility of the task; this will help make sure students participate in the task with a sense of volition. How can I improve student motivation in science? give students a realistic level of choice in work partners, activities and task formats. This could involve the illusion of choice! be supportive, reassuring, and attentive to students – relationships are key! Cook, D. A., & Artino Jr, A. R. (2016). Motivation to learn: an overview of contemporary theories. Medical education, 50(10), 997-1014. Lepper, M. R., and Hodell, M. (1989). Intrinsic motivation in the classroom. In C. Ames & R. Ames (Eds. ), Research on motivation in education (vol. 3, pp. 73–105). San Diego, CA: Academic Press. Palmer, D. (2005). A motivational view of constructivist‐informed teaching. International Journal of Science Education, 27(15), 1853-1881.